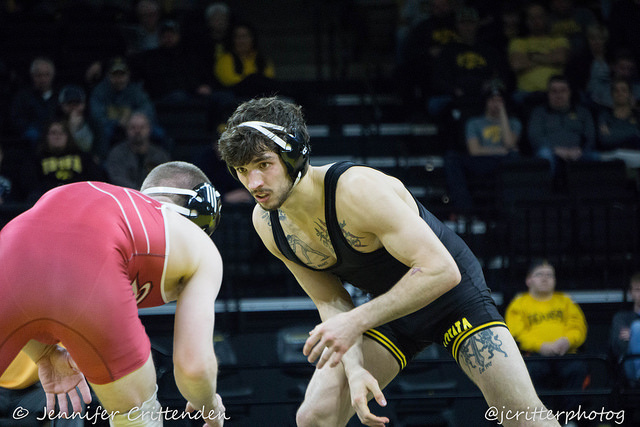 With the B1G tournament fast approaching this weekend, we thought we’d break down each individual weight class from a Hawkeye perspective, including number of automatic bids allocated to the weight class, paths to finals and any other relevant qualifying information. 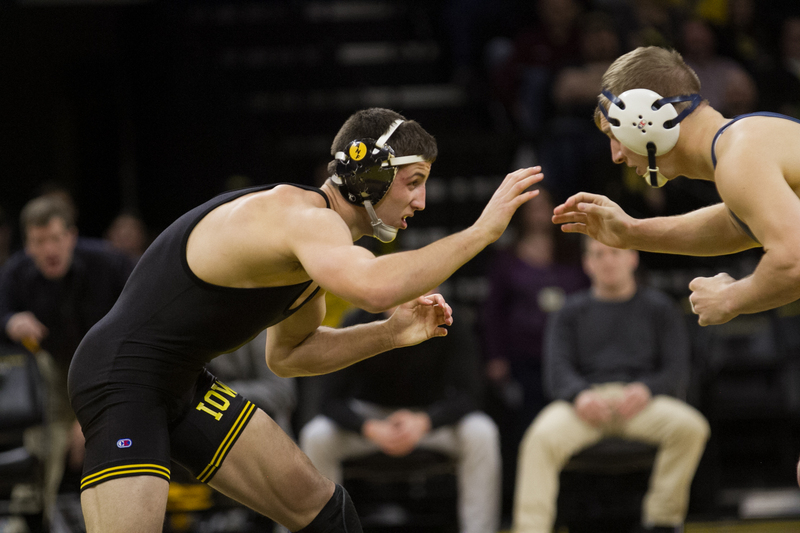 The University of Iowa wrestling team competes at the 2018 Big Ten Championships on Saturday and Sunday at the Breslin Center in East Lansing, Michigan. The two-day event begins Saturday at 9 a.m. (CT). 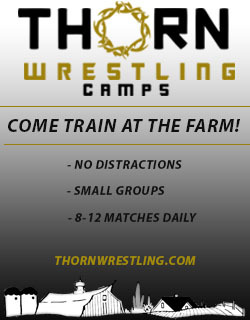 Session II starts Saturday at 5 p.m. Session III begins Sunday at 11 a.m., followed by the finals at 2 p.m. The finals will be televised by BTN. 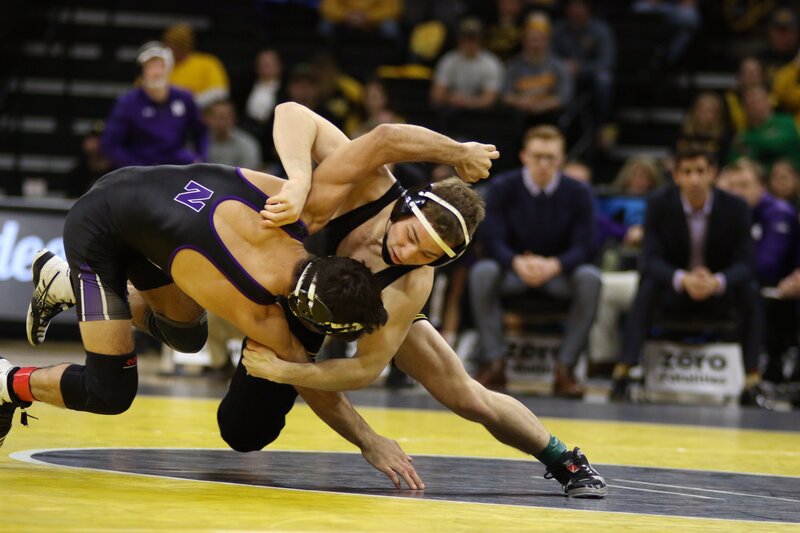 One of the exciting wrestlers in the country, and already becoming one of the faces of Iowa wrestling as a true freshman, Spencer Lee is looking to make a statement at his first B1G tournament. The B1G boasts eight of the top 20 ranked 125 pounders in the country according to The Open Mat, including three of the top four. This weight includes the top seeded Nick Suriano, who is undefeated and the current #1 ranked wrestler in the country, as well as former #3 seed at NCAA’s last season (despite not competing due to injury). It also features former NCAA champion Nathan Tomasello who comes in at the #3 seed due to Iowa Spencer Lee knocking him off in the regular season dual meet. An interesting storyline with this weight, however, is that Nick Suriano has not wrestled a match since Feburary 2nd, and Rutgers has even pulled redshirts to man the 125-pound weight class in Suriano’s absence. Without knowing for sure if Suriano will compete or not, it seems like a distinct possibility is there for an upset to occur if Suriano is a tad rusty after his long layoff. Spencer’s path to the finals will not be an easy, though there are no easy paths in this weight class being as stacked as it is, similar to 165 pounds. If the competitors all wrestle to seed then it is likely we see a rematch between Spencer Lee and Drew Mattin in the quarterfinals. Lee won this match handily at Carver-Hawkeye with a 15-0 technical fall. This would set up a superstar rematch between Lee and Tomasello in the B1G Semifinals match, with the winner getting a chance at Suriano in the finals (assuming he navigates his half of the bracket). Winning the B1G would set up the champion for a likely two seed at the NCAA championships, with the undefeated returning champ Darian Cruz likely getting the #1 seed in Cleveland if he holds serve at his conference tournament. Paul Glynn will also be making his first post season appearance, after winning the spot from teammate Phil Laux during the latter half of the regular season. However, he will have a tough road to hoe in order to qualify for his first NCAA tournament. With only seven automatic bids allocated to 133, he will have to place in the top seven to qualify, as he will not likely get an at large bid if he fails to auto qualify. With Glynn being unseeded, it will be difficult to predict his path navigating the B1G bracket. He will likely be drawn in to face one of the top eight seeds within the first round. Of the seeded wrestlers, he has a win over Ben Thornton, and losses to Micic, Pletcher, McKee, Delvecchio, and Keener. His best bet to advance to the Quarters would likely be to face Keener, Duncan, or Thornton in the first round and pull of the victory, then winning two more matches on the backside to place top seven and qualify. Vince Turk is in a similar situation to Paul Glynn. He recently solidified his spot as the 141-pound starter after beating his teammate Carter Happel in a late season wrestle-off. However there will be a bit more leeway for qualifying, with an additional qualifier allocation, compounded with a slightly more open weight in the B1G, though there are eight of The Open Mats top 20 in the B1G, there seems to be more parity in this weight past the top eight. Like Glynn, Turk will be drawn in randomly against one of the top eight seeds. This draw will be critical in his chances to making the quarter’s, or even the semi’s. He has head to head losses to the top three seeds at this weight as well as the seven seed Cole Weaver from Indiana. However, in the latter half of the season Turk has really come on with his offense and been looking much better than during his mid season slump when Happel was seeing more of the starts. Turks initial draw could hurt his chances of going far in the championship bracket, but given his recent performances there is a pretty good chance he will snag one of the 8 automatic qualifying spots. 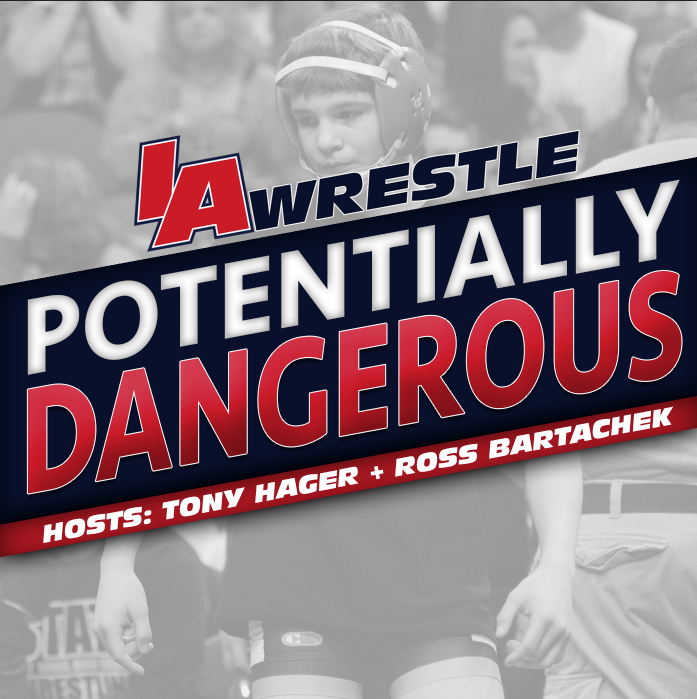 Moving on to 149 pounds, we’ll examine one of the key cogs to Iowas lineup the past four years as well as senior leader Brandon Sorensen. Sorensen is a two-time B1G finalist, finishing as a runner-up both times, as well as a third place finish last season. 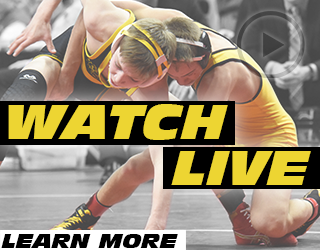 This weight class features seven of The Open Mats top 20 wrestlers. The top two at this weight, Retherford and Sorensen have been two of the best at the weight during their careers. 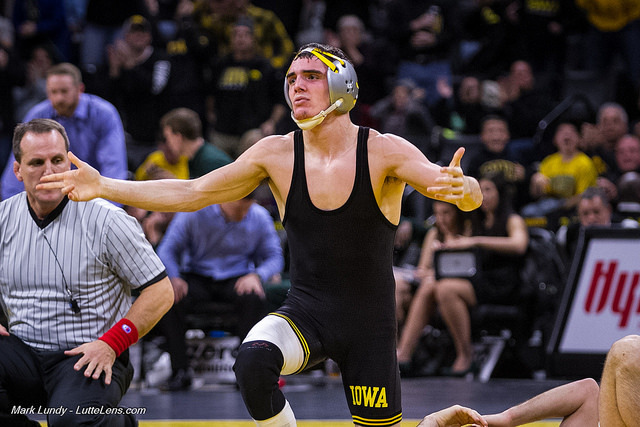 Sorensen’s biggest problem has been having Retherford there blocking his path to a Big Ten and NCAA title. Retherford is statistically the most dominant wrestler in the country, having racked up only six regular decision victories, and zero losses during his time at 149 pounds. Sorensen has accounted for three of those six regular decisions, and is one of the only wrestlers anyone gives even a small percent chance to dethrone Retherford, though the odds are stacked against him. If everything goes according to seed, Sorensen will likely face Alfred Bannister of Maryland in his quarterfinal bout, which would lead into a likely rematch with Ryan Deakin of Northwestern. 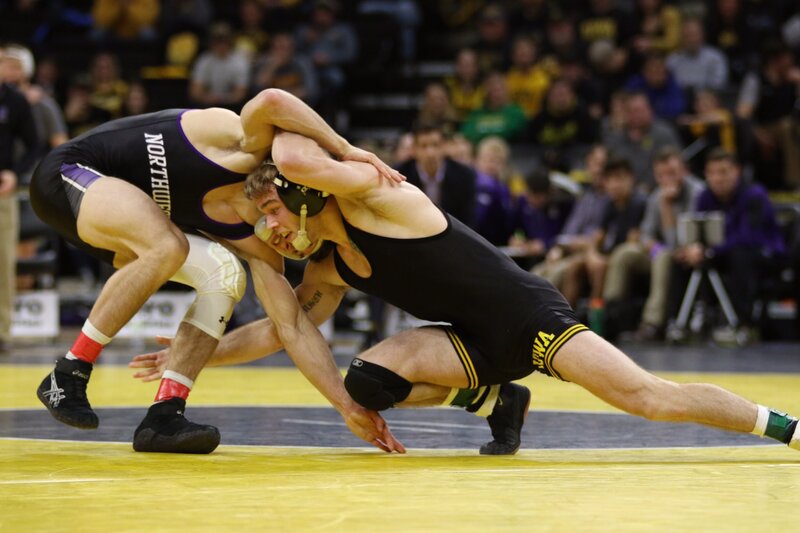 Deakin pushed Sorensen to the brink in their match at Carver-Hawkeye with Sorensen claiming the win in sudden victory due to an illegal headgear pull by Deakin. Assuming Sorensen can navigate his half of the bracket he will have his sixth career matchup against Retherford. His losses have been one by pin, one by major decision, and three by regular decision. Assuming these two meet up in the finals, the NCAA implications are quite simple, winner is the #1 seed at NCAAs, and the loser is the #2 seed, which will hopefully set up a potential rematch for the seventh time in the NCAA finals. Pre-Seeds: T1. Michael Kemerer (Iowa), TI. Jason Nolf (Penn St.), 3. Alec Pantaleo (Michigan), 4. Micah Jordan (Ohio St.), 5. Tyler Berger (Nebraska), 6. Andrew Crone (Wisconsin), 7. Jake Short (Minnesota), 8. John Vanschenkbrill (Rutgers). On to another young exciting face of the Hawkeye lineup with 157-pound sophomore Michael Kemerer. We have an interesting scenario in the bracket with the pre-seeds listing two wrestlers as tied for the #1 seed due to them each receiving half of the #1 votes from coaches. It seems likely that Kemerer will eventually receive the official #1 seed due to being undefeated, and Nolf having one B1G loss (though it was an injury default, it should still count in this situation). The full nature of Nolf’s injury hasn’t been publicly disclosed so it is still unsure whether he will be ready to compete at B1G’s or if we will see a situation similar to Suriano last season, though it seems that early indications from Cael Sanderson seems to indicate he will be wrestling at B1G’s. Other than the top two dogs at this weight, the entire weight has seven of The Open Mats top 20 ranked wrestlers in the B1G bracket. Kemerer’s path to the finals won’t necessarily be easy either, though Kemerer is still the strong favorite to make the finals here. His likely quarterfinal matchup will have him taking on John Van Brill from Rutgers where he is a heavy favorite, with bonus points being a high possibility. 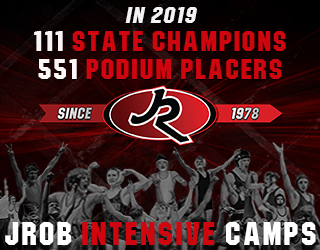 His likely semifinals rematch will be against the winner of Micah Jordan and Tyler Berger, with taking recent performances into mind it seems more likely that Kemerer will have a rematch with Jordan, which Kemerer won handily 8-4 in the dual meet. If Nolf is healthy enough to wrestle at B1G’s he’ll still be favored to make the finals opposite Kemerer, though Pantaleo could definitely pose a challenge to him as he pushed him in their dual meet matchup in a 6-4 loss. The winner of the B1G’s is likely looking at a #1 seed at NCAA’s, though if Nolf were to defeat Kemerer in the finals, Kemerer could fall to a #3 seed at NCAA’s instead of a 2, due to Hayden Hidlay remaining undefeated out of the ACC conference. March 1, 2018 in Iowa Hawkeyes.